The writers of Scripture were not passive in their writing. I think many Christians treat the Bible as if its writers operated like robots, merely scribbling down thoughts that the Holy Spirit threw into their brains while they did not think. Yet, this is not the case. Especially in the New Testament, the writers of Scripture wrote as they shared their own encounters with Jesus. “That which was from the beginning, which we have heard, which we have seen with our eyes, which we looked upon and have touched with our hands, concerning the word of life—the life was made manifest, and we have seen it, and testify to it and proclaim to you the eternal life, which was with the Father and was made manifest to us—that which we have seen and heard we proclaim also to you, so that you too may have fellowship with us; and indeed our fellowship is with the Father and with his Son Jesus Christ. And we are writing these things so that our joy may be complete” (I John 1:1–4; all Scripture quotations from the English Standard Version, unless otherwise indicated). John was not mindlessly scribbling random thoughts that popped into his head. He wrote what he knew. He had sat by Jesus’ side at the Last Supper. Jesus had entrusted the care of His mother to John. Throughout his Gospel, John referred to himself as “the disciple whom Jesus loved.” He must have thought of himself as Jesus’ best friend. When he wrote his Gospel and his three letters, he wrote as one remembering some unforgettable moments that he had shared with a real Person, and he wanted his readers to know that Person as well as he did. “For we did not follow cleverly devised myths when we made known to you the power and coming of our Lord Jesus Christ, but we were eyewitnesses of his majesty” (II Peter 1:16). “Inasmuch as many have undertaken to compile a narrative of the things that have been accomplished among us, just as those who from the beginning were eyewitnesses and ministers of the word have delivered them to us, it seemed good to me also, having followed all things closely for some time past, to write an orderly account for you, most excellent Theophilus, that you may have certainty concerning the things you have been taught” (Luke 1:1–4). Luke wanted his reader, Theophilus (Greek for “friend of God”; we are not sure if it was an actual person or just a reference to any friend of God or follower of Christ who may read it), to know for certain about the things he had been taught. 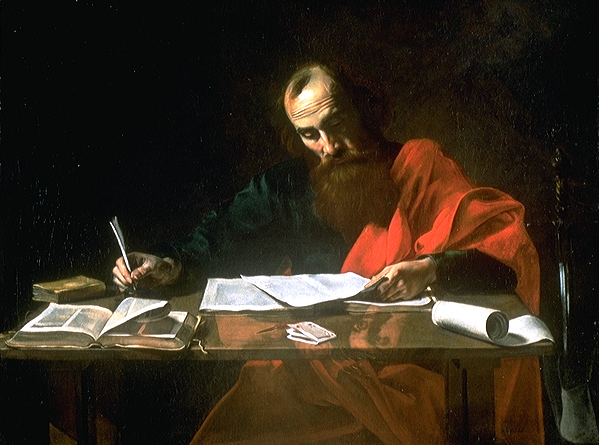 Luke wrote 30 or 40 years after Jesus ascended to heaven. Some of the eyewitnesses to the life and death of Jesus were already deceased. Time and distance separated many Christians from the life of Christ. How could they know for certain the truth about Him? How could the faith survive? Luke wanted to make certain that the testimony of those eyewitnesses, apostles, and other ministers of the Word would be preserved so that “friends of God” could remember them later. Like most writers, Luke did his research. He checked the original sources. He tried to assemble his facts so that he could present an orderly account. A lot of human work went into it so that he could accomplish a goal that lay on his heart. It was a very human process, even if it was inspired by the Holy Spirit. The Holy Spirit may have placed the desire in Luke’s heart and guided his research and writing, but I would not be surprised if Luke felt very much like this was his project while he was doing it. Luke’s Gospel did not merely fall from the sky. It bore his sweat and effort as he achieved his goal. “Now Jesus did many other signs in the presence of the disciples, which are not written in this book; but these are written so that you may believe that Jesus is the Christ, the Son of God, and that by believing you may have life in his name” (John 20:30–31). The certainty Luke offered served the same purpose. We should seek to be certain about the truth of Jesus so that we can have life in His name. The Scriptures are intended to make us wise to salvation (2 Timothy 3:16). As we read the Bible, we should seek to look beyond the written word to know the Living Word who spoke to us. The Bible is a book like no other. It is living and active because it is a divinely-inspired record of God’s revelation of Himself to mankind. Let us read and study that Word not so much to gain intellectual knowledge, but to come to know the Author and Source of all Truth.